Headlines, hot news, and conversation starters on November 13, 2017! Another one of our favorite girls is about to walk down the aisle. 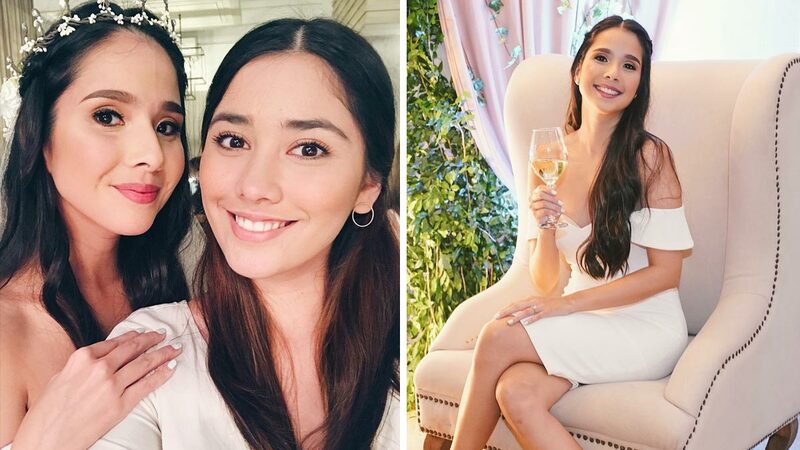 Maxene Magalona just had a bridal shower, and it was stunning. Held at K. Cunanan Catering, the party was planned by none other than Max's sister and maid of honor, Saab. And the best part? This makeup buffet by MAC. JoshLia is the gift that keeps on giving; ICYMI, Joshua Garcia and Julia Barretto are coming out with another movie, and this time, they're starring alongside two of the industry's biggest names: Robin Padilla and Sharon Cuneta. The teaser for Unexpectedly Yours was released on November 10, and it'll hit theaters November 29, 2017! Women have come forward with sexual harassment allegations against director and producer Brett Ratner, and it's been reported that Gal Gadot isn't having it. According to Vanity Fair, "Ratner’s RatPac-Dune Entertainment had a co-financing deal with Warner Bros." and Gal has expressed that she won't be coming back to the franchise if Ratner will continue to profit off of it. A source told Page Six, "[Gal is] tough and stands by her principles. She also knows the best way to hit people like Brett Ratner is in the wallet. She also knows that Warner Bros. has to side with her on this issue as it develops. They can't have a movie rooted in women's empowerment being part-financed by a man ­accused of sexual misconduct against women." Kim Kardashian is so excited for baby number three that she threw herself an extravagant baby shower! Cherry blossoms and tea, anyone? This lifts the temporary restraining order issued by the Supreme Court in 2015.